Nicosia.- The National Council, top advisory body to the President of the Republic on the handling of the Cyprus problem, has unanimously and unreservedly condemned the “unacceptable and provocative” statements by Turkish Prime Minister Recep Tayiip Erdogan during his recent illegal visit to Cyprus Turkish occupied areas. The statement said that during its meeting the National Council continued its discussion on the results of the meeting in Geneva on July 7. 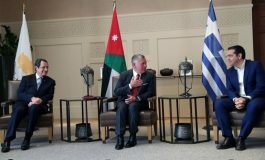 The Council also discussed statements made by Erdogan during his illegal visit to Cyprus Turkish occupied areas, noting that these have already been denounced by President of the Republic to the UN Secretary General, the five Permanent Members of the Security Council and the EU. As an oversees Cypriot that is advocating with many others for a just, lasting and workable re-unification solution, DO NOT BELIEVE THAT the two community Leaders of Cyprus, can ensure a successful reunification outcome based on the UN RELEVANT RESOLUTIONS and their agreed points because. REMEMBERING 1963-67 (a) the communal incidents due to the failure of the Guarantor Powers to prevent the illegal assistance of extremist groups instigating for partition (the t/c side) and enosis (the g/c side). (b) The violent actions with lose of life and property on both sides, forcing the President of the Republic in 1964 to request from the UN a peace-keeping force _UNFICYP to be sent to Cyprus. REMEMBERING again the mid. JULY DAYS of 1974 when Cyprus and the Cypriots were the victims of two terrorist acts, the coup by the Greek-military and the so-called Turkish military operation that in August became the invasion and occupation of 1/3 of Cyprus. 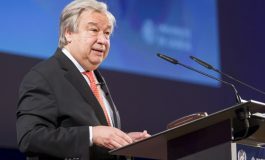 With both acts CONDEMNED by numerous UNGA and UNSC Resolutions, resolutions that among other items Demanded an immediate end to foreign military intervention and the withdrawal without delay of all foreign troops other than the once authorized by international agreements from the Republic of Cyprus. 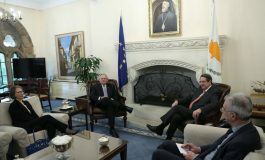 Also CALLED on the Guarantors of the Republic of Cyprus Greece, Turkey and Britain to without delay enter into negotiations for the restoration of peace and the constitutional government. Remembering also, that the UNSC and the Secretary General’s (good Offices) the facilitators of the Cypriot let communal talks did not and do not PRACTICE JUSTICE by implementing the adopted resolutions to help the community Leaders and the Cypriot citizens of the Republic of Cyprus that in a “scale of blame” to a NO CYPRUS SOLUTION for years now are the LAST to be blamed according to the above UN FACTS. With; FIRST to blame the guarantor powers. SECOND the UN Security Council for NOT implementing or force the implementations of the adopted resolutions. THIRD the USA that after admitting that Turkey used illegal US arms in Cyprus and placed an arms embargo on Turkey in 1975-76 lifted the embargo one year later. AND LAST to blame the Cypriots and the Republic of Cyprus, a full UN and EU member, that in February of 2007 acted according to UN sanctions against Iran with both the EU and the UNSC praising Cyprus of its actions. FINALLY if the UNSC does NOT implement relevant resolutions that can help the freedom to decide of the legal Cypriot citizens at the referendums, we will NOT have positive re-unification results, we will have another (Annan plan #5) 2004 result and another UN failure. If the GAR 3212 that was also adopted by the Security Council was implemented years ago we will not be having a Cyprus problem today. 1. Adopted UNSC resolutions that ask for the immediate removal of all foreign troops from Cyprus, the respect of the sovereignty, Independence and the territorial integrity of the Republic are not implemented. 2 Turkey the KEY to the solution tells the UN and EU that Turkey supports the community leader’s talks, but at the same time demands conditions that violate the human rights of the Cypriots, the UN adopted resolutions and the rule of Law. FIRST, the guarantor powers Britain, Turkey and Greece. SECOND, the UN Security Council for NOT implementing the adopted resolutions or force the implementations by using sanctions. THIRD, the USA that after admitting that Turkey used illegal US arms in the invasion of Cyprus and placed an arms embargo on Turkey, 1975-76 lifted the embargo one year later. 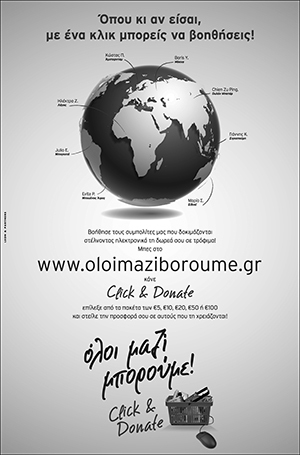 LAST to blame the Cypriots and the Republic of Cyprus, a full UN and EU member. FINALLY if the UNSC does NOT implement relevant resolutions that can help the “freedom to decide” of the legal Cypriot citizens at the referendums that must follow the agreed so;ution, we will NOT have positive re-unification results, we will have another (Annan plan #5) 2004 result and another UN failure. If the GAR 3212 that was also adopted by the Security Council was implemented years ago we will not be having a Cyprus problem today.